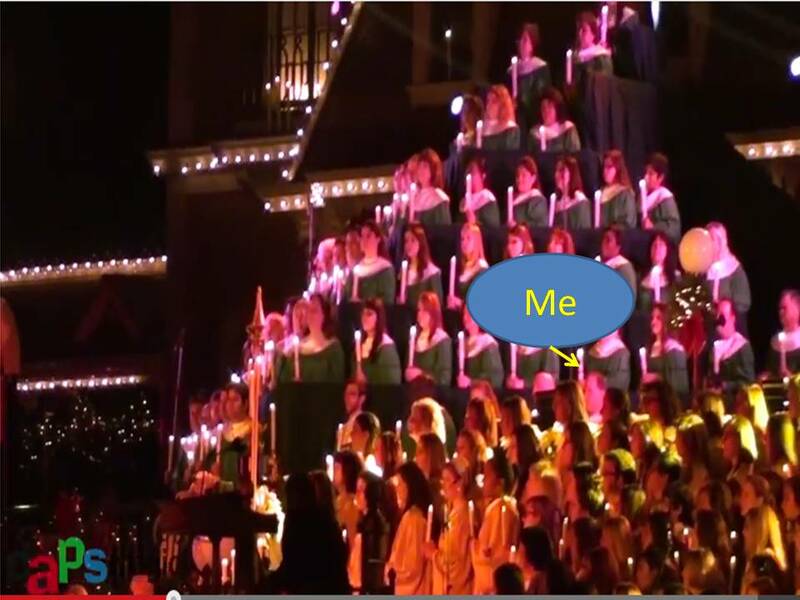 This past weekend, I got to sing in the Disneyland Candlelight Processional with the Disney Employee Choir. It was such a fun week! However, it was a little disastrous on the workout front. I should have known that singing at Disneyland on Saturday would lead to a missed long run Sunday. However, it was not all bad. There will be weeks like this one when you run long enough. So, let’s go back and see how it went down. Monday, I intended to wake up early and get in a 3 mile run. However, I went to bed too late on Sunday to make that happen. So, it was a rest on what was typical for me. However, with the looming Candlelight scheduling, I thought I was key to get out on Monday. On Tuesday, I made it up in time to get 3 miles in before work. The goal for the morning was to beat the rain. We had rain in the forecast and I don’t own rain running gear. Since it wasn’t raining when I got up, I took a risk and went out. This run went really well for 2 miles. I loved that I finally got to wear my Avengers Half Marathon race shirt! During the third mile, I switched up the run/walk intervals up like I usually do on these runs. However, on Tuesday, my body was not happy with me for doing so. By 2.5 miles, I had to stop because of a few dry heaves. That was a new experience. I stopped the watch while I regained my composure and thought that I’d just walk the rest. Then, as I started up, the drops started falling. So, I tried to just use the run 30 seconds, walk 1 minute intervals like I had in the first couple miles. This worked out really well for me as I had no more physical issues. It did shake me up a little to know that I had some dry heaves. I’m chalking that up to pushing myself a little harder than my body was willing to push. It rained a lot on Tuesday and the forecast said it would continue through Wednesday. So, instead of planning to run on Wednesday, I went to bed like I would do on a night where I wouldn’t be running the next day. I should have tried to run on Wednesday as it wasn’t raining during the time where I would have run. Oh well. Not much I could do about that after the fact. So, Wednesday was a rest day as originally planned. Thursday was going to be a long, but very fun day. 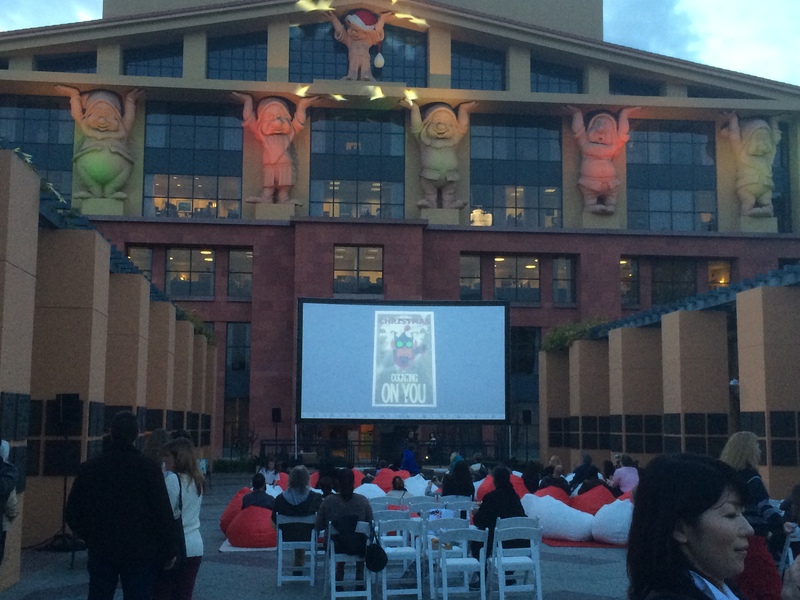 This was the night where the Walt Disney Studio hosted their annual Light Up the Season festivities. 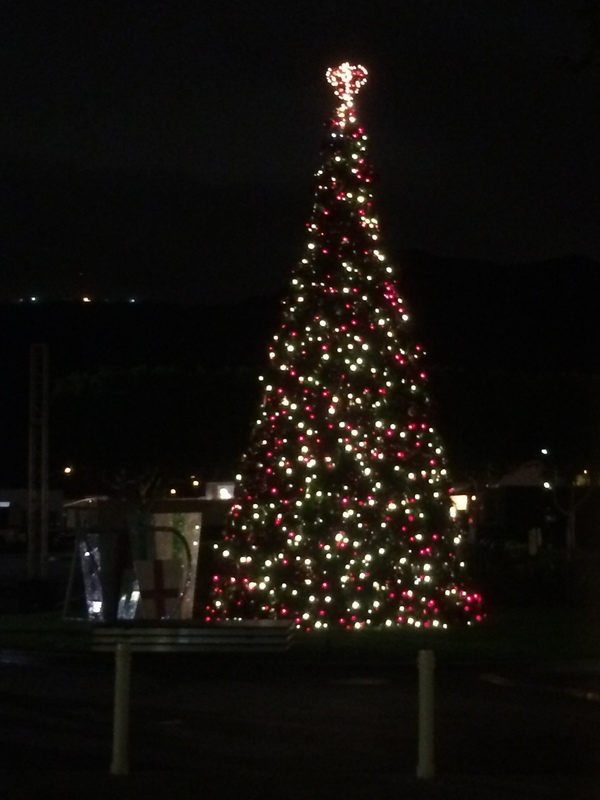 They would light up the Christmas tree on Thursday. The Studio was decked out for a fun, festive night. 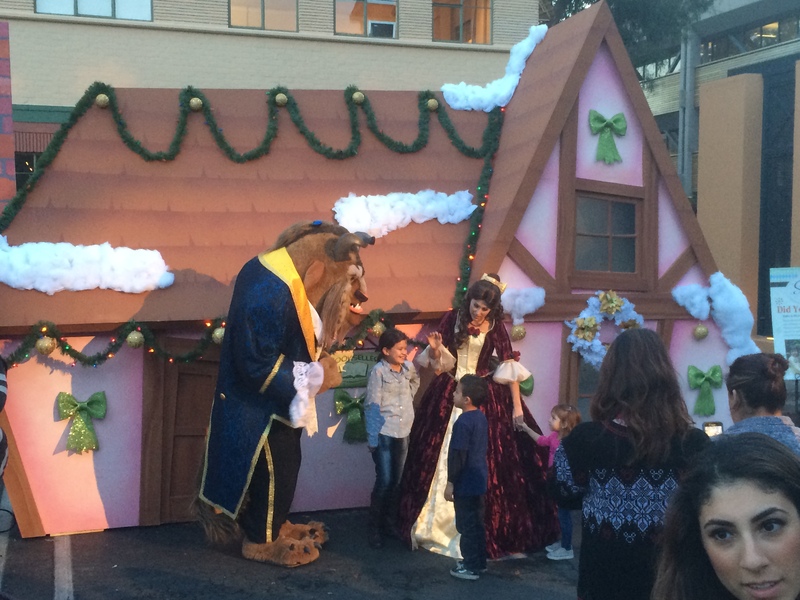 Belle and the Beast were out as well. Belle was even dressed up in here Christmas best. In Legends Plaza, they were showing a few Christmas shorts. They had bean bag chairs in red and white set up. It was all so fun! If only I didn’t have the dress rehearsal for the Disneyland Candlelight Processional to get to, I would have stayed and enjoyed all the fun. I battled the heavy Los Angeles rush hour(s) traffic and made it to Disneyland in a little more than an hour and a half! Here’s the thing about the dress rehearsal. We have a call time to meet backstage behind Main Street U.S.A. that happens to be shortly after the fireworks. For security purposes, they have to shut down certain areas backstage well before the fireworks show begins. As a Studio area Disney Employee, I have to park back in that area. So, the goal is to beat the shut down time and make it into the park. That not only allows me to be on time, but gives me the opportunity to have dinner in the park beforehand. Thanks to the Waze app, I made it with plenty of time to spare. On the way in, I realized that my former boss (who sings in the Disney Choir as well) signed in a few minutes ahead of me. I caught up with her and some of our other choir peeps before we got onstage. That let us go have dinner together. 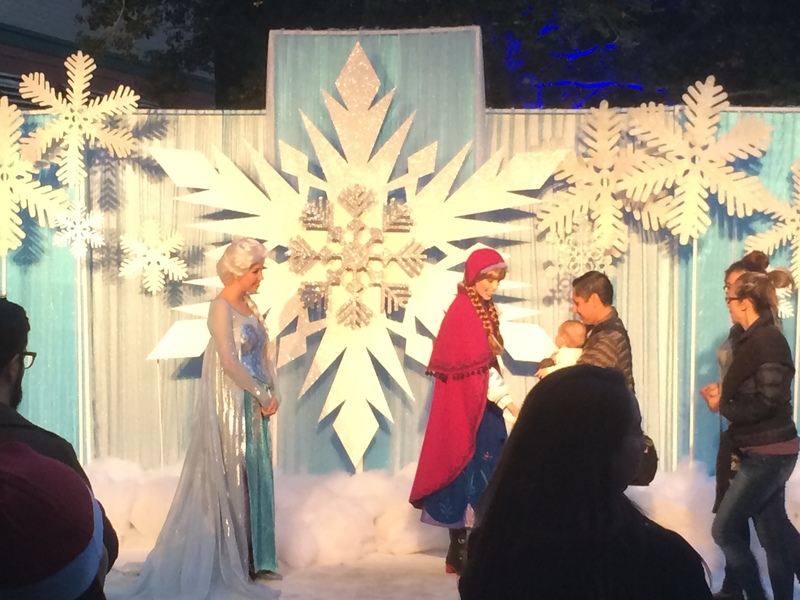 We even managed to finish our dinner in time to catch Beleive…In Holiday Magic! As you can see we didn’t get the best seating for the fireworks. But, hey, we weren’t trying to get great seats. It was fun to take in the fireworks before heading off to the area backstage we needed to be. 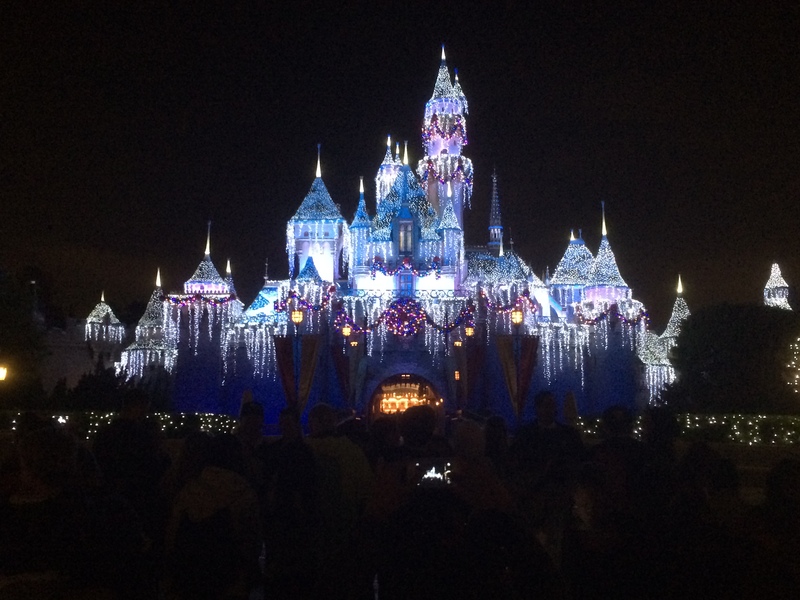 Some of you runners out there might not believe this, but taking pictures backstage at Disneyland is a big no, no. So, I don’t have anything to post from the rehearsal. For this rehearsal, there is a lot of hurry up and wait going on. So, there’s lots of time just to hang out. Eventually, they lined us up in our rows and we practiced processing up Main Street and on to the stage. Each show gets their own practice. Honestly, this rehearsal is more for the Disney cast members who are leading us up to the stage than it is for most of us in the choir. At around 11pm, we lined up the second show Sunday group and the rest of us filled in behind. This time, we’d process up to the stage and begin the actual show. We do one run through of the show with the orchestra, hand bell choir, and fanfare trumpeters. Additionally, the “Voice of Disneyland” is our narrator for the dress rehearsal. This is a totally fun rehearsal for us because it’s only the Disney Employee Choir singing. Main Street is empty. It’s absolutely magical. As we waited to process for the actual dress rehearsal, I was struck by all the details on Main Street. When there’s no one walking around, it’s amazing how many details that go unnoticed come alive. Other than the singing, my favorite part of the dress rehearsal is walking back through the park with it largely empty. The picture of It’s A Small World is an absolute must do each year. Look! No on in front of the attraction! On the side, I found the perfect spot for a selfie! 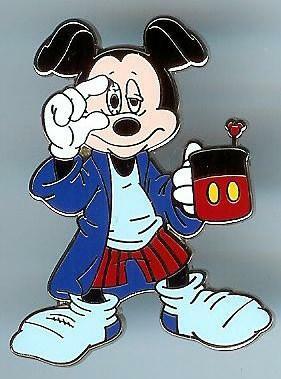 I left Disneyland around 12:30am Friday morning. So, I took Friday off from work. I made sure to use my Friday well. I got so much done on Friday! Included was a gym workout! I tried something new with this workout. 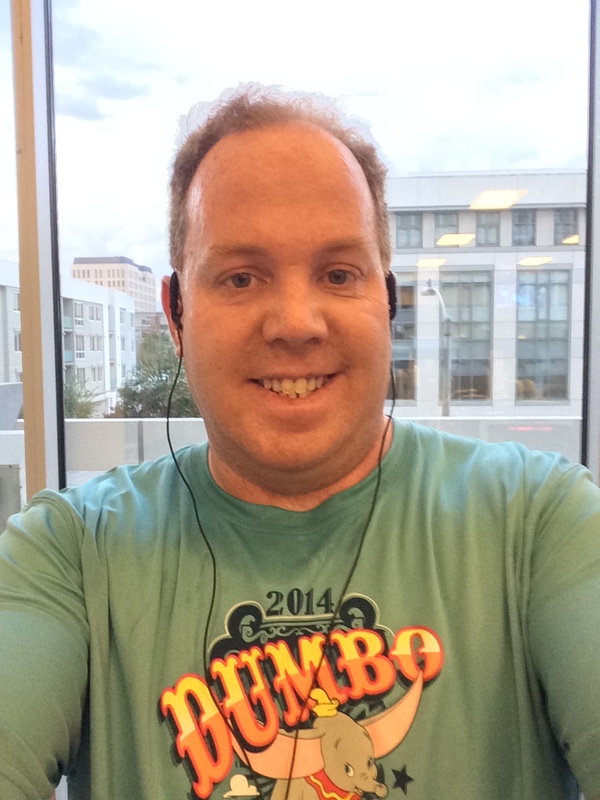 As I mentioned last week, a goal of mine is to be able to actually run an entire 5K without stopping. At the gym on Friday, I took my first “steps” towards that goal. Get it? First Steps? 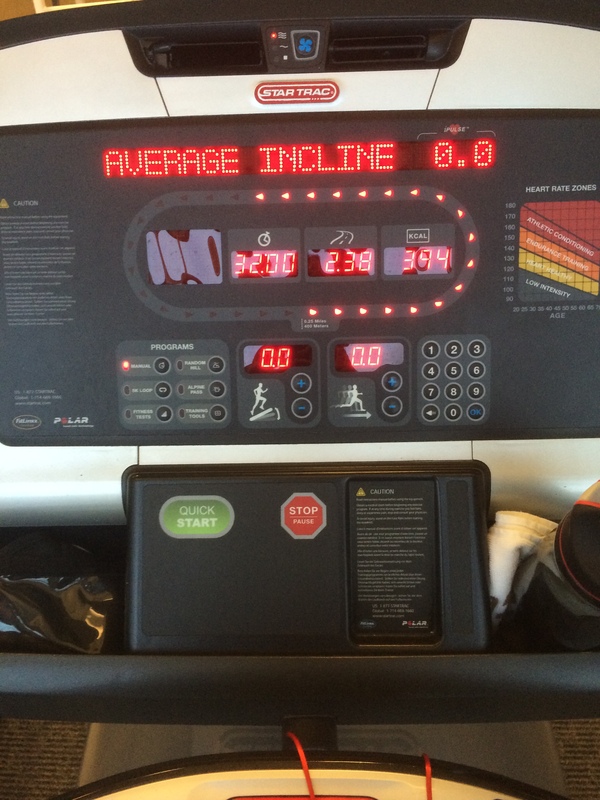 With this time on the treadmill, I walked a quarter-mile and ran a quarter-mile….all the way until I finished 1 mile of each. I got to the two-mile mark with not enough time to finish another quarter-mile. So, I walked the rest. This was a nervous part of the workout for me going in. I’ve been running shorter Galloway intervals for so long that I didn’t know if I could run a full quarter mile. For my first run interval, I was conservative with the speed. 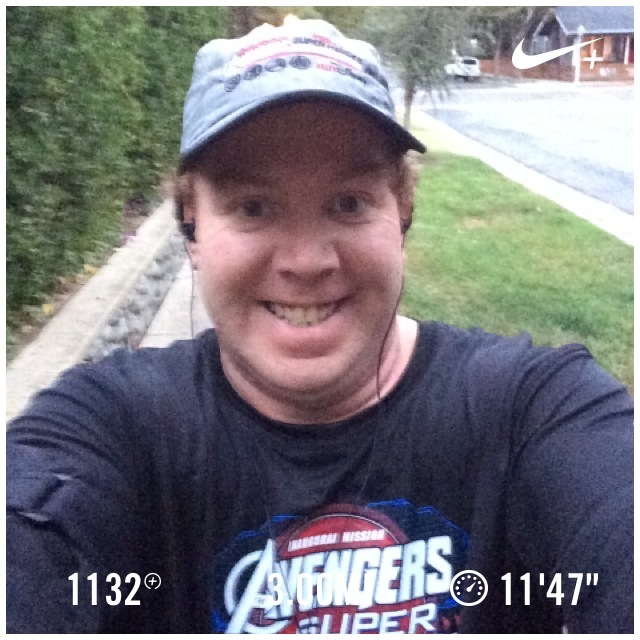 Everything felt so good, that I got a little quicker for the remaining 3 run intervals! I’m planning on doing this again this week. 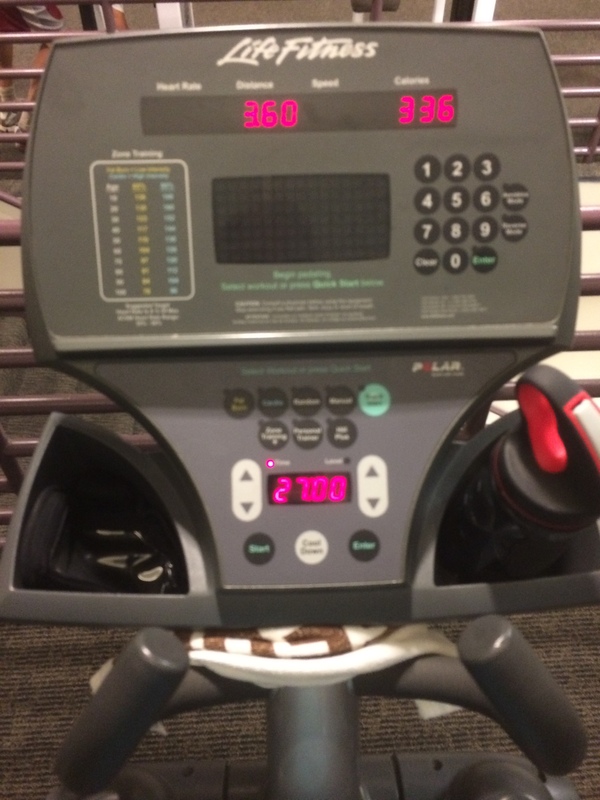 I got some crunches in and 27 minutes on the elliptical machine! This is the workout I used to do way back before I started running outside. It worked pretty well. So, I’m trying it out again. It’s amazing how different it felt to be on the elliptical after the treadmill. All in all, it was a fantastic workout that I was really happy with! 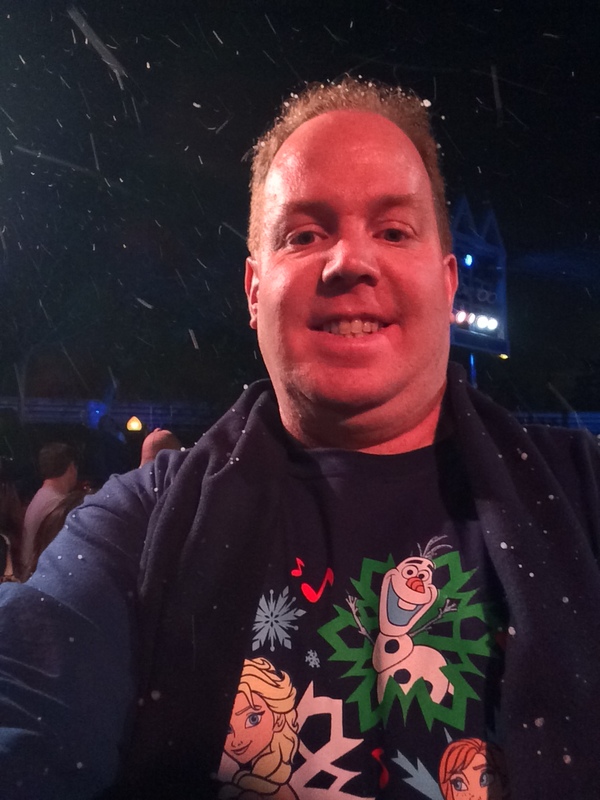 Saturday was the Disneyland Candlelight Processional. I faced some crazy traffic getting to the park. However, once I arrived, I was really happy and ready to go! At 5:30, we processed up Main Street and the show began. Above is a screen grab just to point out where I was. Beau Bridges was the narrator for this year’s Candlelight. I must say, he was not all that impressive to me. 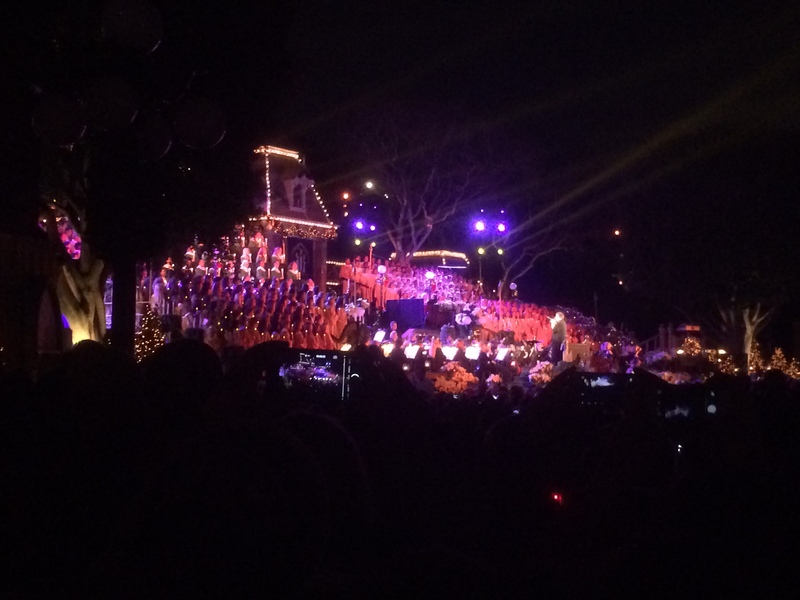 I’ll be writing a little more about the Disneyland Candlelight Processional a little later this week. However, if you’re a Walt Disney World regular, you might have gone out to EPCOT to see the Candlelight Processional out there. The Disneyland Candlelight Processional is a completely different show. 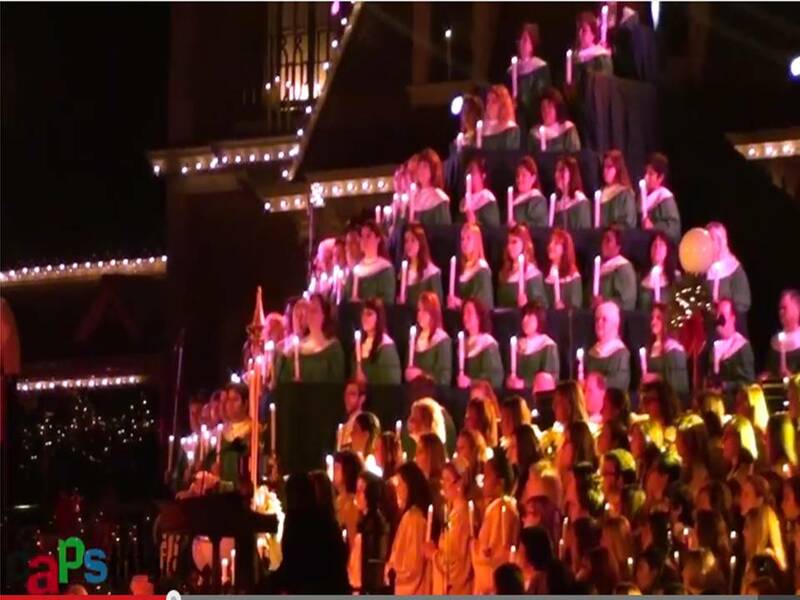 The Disneyland Candlelight Processional has been running at Disneyland since the third year Disneyland was opening. So, it’s been running for more than 50 years. 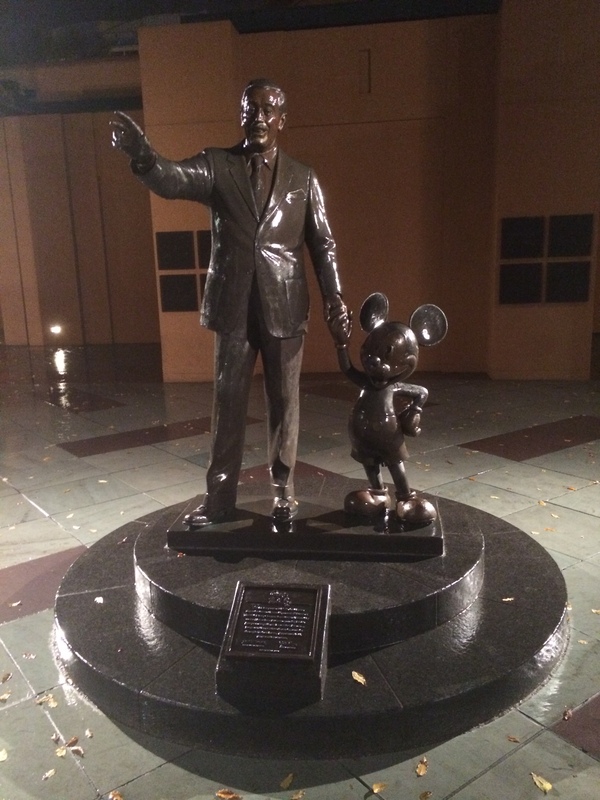 It was initially Walt Disney’s Christmas Card to the City of Anaheim. Currently, we feature a choir of around 650 voices, full orchestra, hand bell choir, soloists, and the herald trumpeters who stand on top of the Main Street Train station. Seeing Candlelight in person is such a different experience than watching the YouTube videos. It’s such a grand program at Disneyland. I watched the second show and it blew me away. 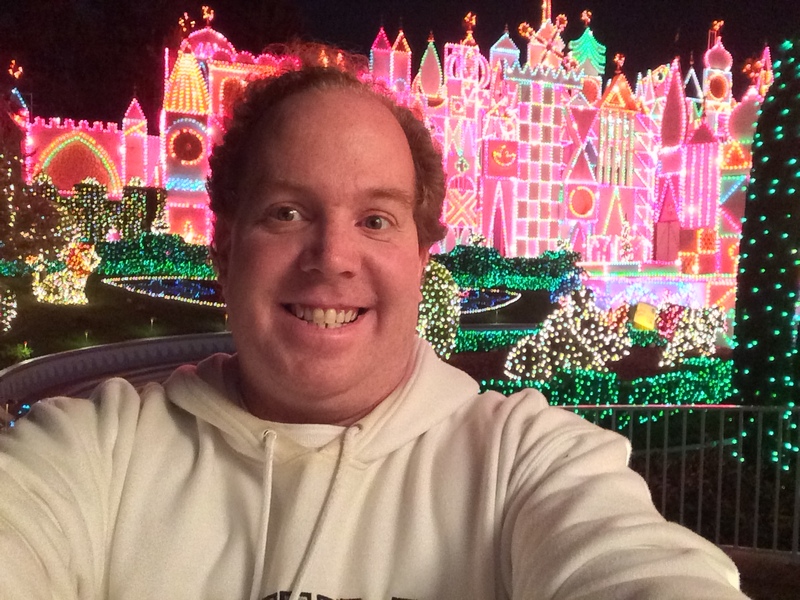 After watching the Candlelight Processional’s 2nd show, I made sure to get myself over by It’s A Small World to see Believe…In Holiday Magic again. This time, I got myself in a place where I could experience the fake snow illusion. 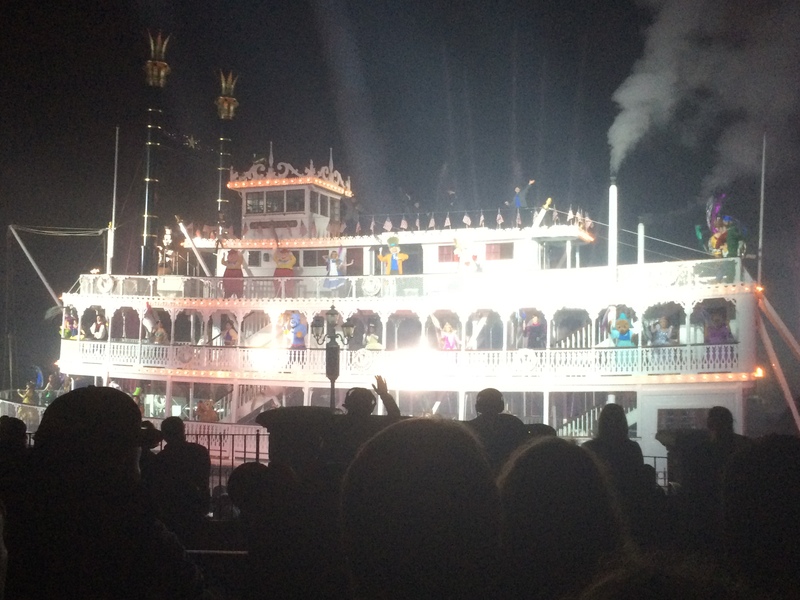 I ended the evening by taking in Fantasmic and a ride on the Pirates of the Caribbean. What a 7 seven days! On the Saturday before Candlelight, Brooke and I went to Disneyland and DCA. We got to ride It’s A Small World with its holiday overlay. We got to ride the Haunted Mansion with its Nightmare Before Christmas overlay. 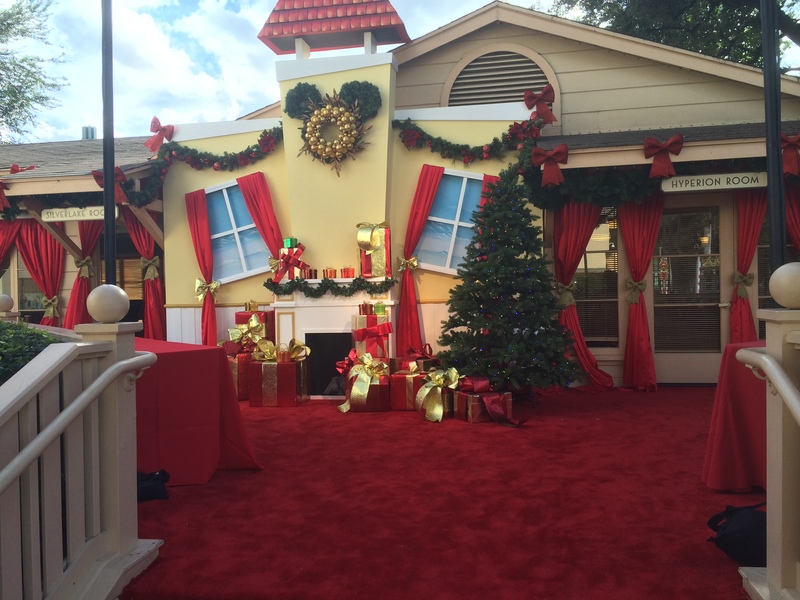 We checked out all the holiday decor at Disneyland and DCA. We got to see World of Color Winter Dreams. That was a great day. 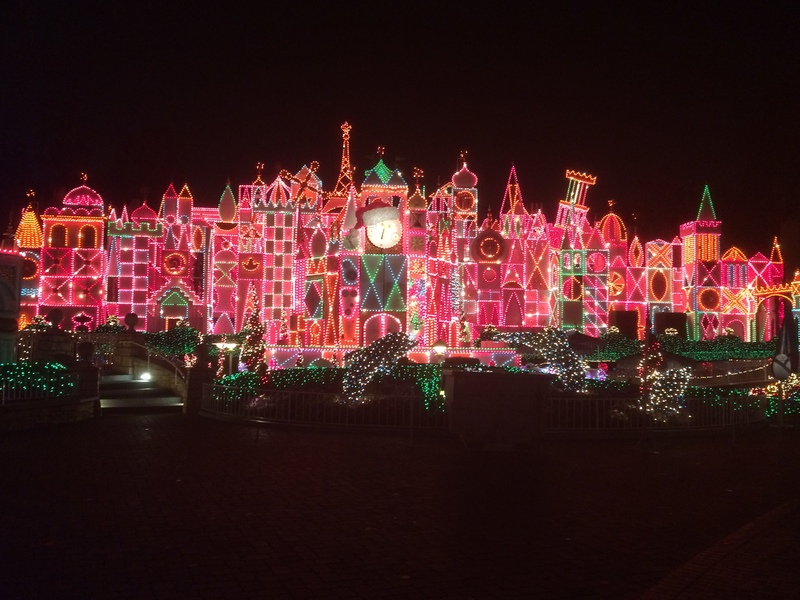 Then, Thursday, I got to see Believe…In Holiday Magic and It’s A Small World all lit up without anyone around. 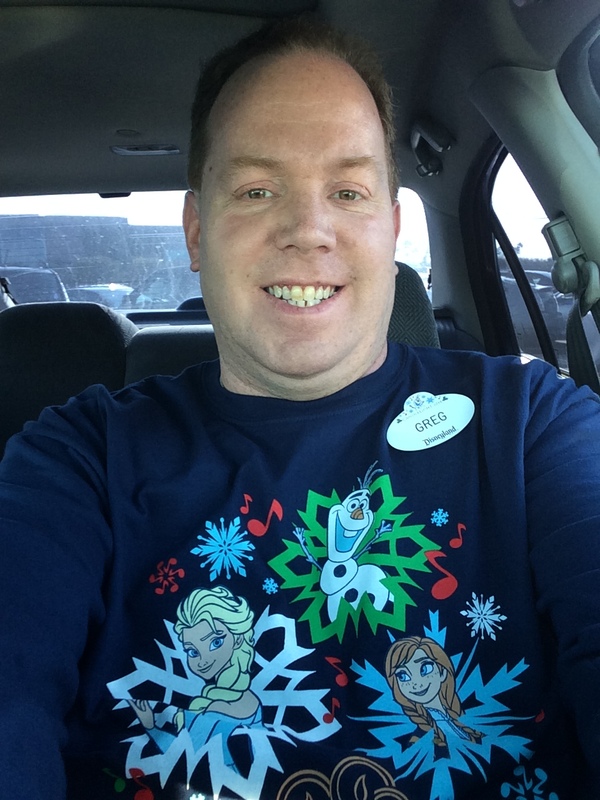 This all lead up to Saturday singing in and watching the Candlelight Processional, Believe…In Holiday Magic, and Fantasmic. Not a bad 7 days. By Sunday, I was wiped. I had scheduled a 15 mile training run. What was I thinking? Sunday was a day I wished I lived in a colder climate. With temps getting into the mid 70’s, I knew I needed to be out the door by 8 or 9 to have any shot of a long run. Instead, I was wiped out and took the day off. I’ve got a few alterations coming to my calendar due to this missed run. I’ll make up for it this coming Saturday. I’m replacing that 6 mile run with this missed 15 miler. Then, the Saturday after that, I’ll run 7 miles. The Saturday after Christmas, I’ll run the 17 miler. The first Saturday of the new year, I’ll run 7 miles and then be caught up. I’m thankful that I got to have such a fun week. I’m also thankful that this week is over. Why? My commitments for the rest of the month are not as intensive. So, I’m hoping to get back on track with my training. The Los Angeles Marathon is now less than 100 days away!